Batman’s tale is a tragic one. His parents were taken from him during the springtime of his youth. It was the catalyst that sent him on a lifelong journey to abolish crime from the world. He began training in martial arts and he also began developing high-tech weaponry to defeat criminals. He also began wearing tights with a bat-symbol on it! Yes, despite how glamorous Batman’s life looks, it’s actually quite rough. We’d never want to put your kid through that kind of history just to turn him into a crime fighting superhero, so we figured out a much easier way for your child to live out his dreams of being a superhero. 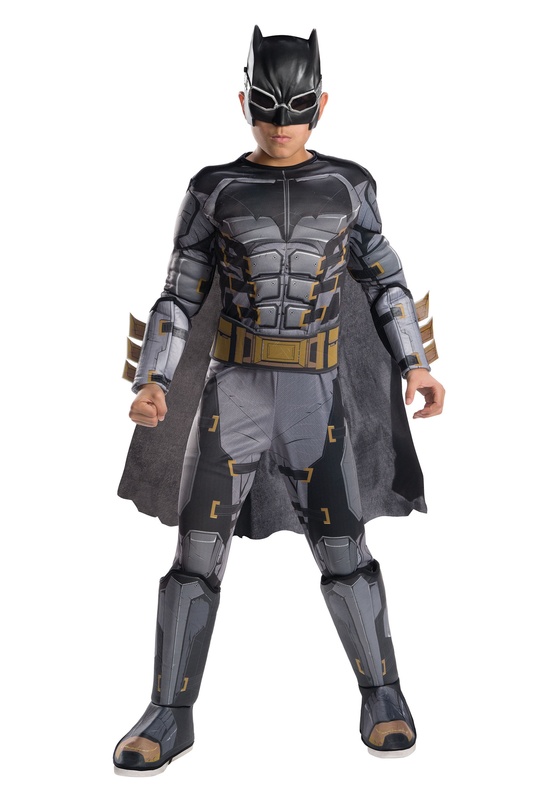 You just need to teach him a few of your best ninja moves and get him this boys Batman costume, which is officially licensed from DC. 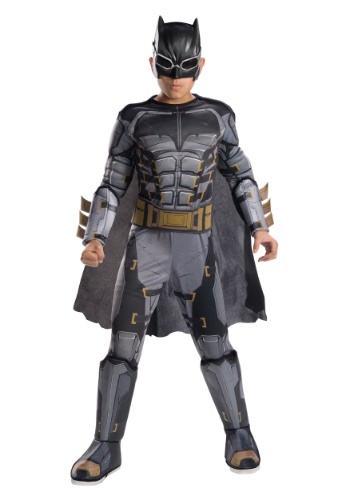 This Deluxe Tactical Batman Costume gives your child a look that’s ready for any villain! It’s based on the one seen in the Justice League movie and comes with plenty of great details to set your kid apart from all the other young heroes. The jumpsuit has printed armor pieces on the front and faux muscles designed into the chest and arms. It even comes with spiked arm gauntlets so he can strike fear into the hearts of bag guys everywhere. The final piece to the costume is the mask, which effectively protects your kid’s secret identity. That means no bad guys will be figuring out who your little one is during his heroic capers, and it also means no baddies will be knocking on your door looking for the Batcave.